A lot is up in the air concerning Nintendo Switch Online. What is Nintendo bringing to the table? Will it become a runaway success? Find out what you can expect from the service on launch day, as well as my thoughts concerning the potential of Nintendo’s first foray into paid online. In roughly a month the Nintendo Switch’s barebones and free multiplayer service will transition to a paid online subscription, offered as a package for individuals or families. The strangest thing about this looming transition isn’t that Nintendo has finally aligned with the likes of PlayStation Plus and Xbox Live, but rather the fact that not much is being said by the company regarding the move to a premium model. There’s still much to question about Nintendo Switch Online, and whether it’s something that will happen smoothly, or rather, become a change that causes a jarring headache for millions. Read below to find out what we know about Nintendo’s paid online service, what we can potentially expect from the service, and my thoughts on how things will pan out for the company’s first foray into the subscription model. Nintendo Switch Online will launch in September 2018, and upon its launch will cost $3.99 on a monthly basis, $7.99 for 3 months, and $19.99 annually. Alternatively, you can opt for a family subscription which will cost $34.99 for 7 members annually. Like competing services, Nintendo Switch Online will be necessary to play online multiplayer in games such as Mario Kart 8 Deluxe, Splatoon 2, and Mario Tennis. It will also feature cloud saves just as PlayStation Plus and Xbox Live. The biggest addition, apart from the change from free to paid, is the introduction of a Virtual Console type service for the first time on the system. At the start, 20 NES games will be added to the service with more to come, and titles will be rotated in and out over time. Some of these titles include Mario Bros., The Legend of Zelda, Donkey Kong, and Dr. Mario. In addition to these titles being added to the Switch for the first time, it’s the first time we will see online multiplayer for all 20 classic NES titles. This feature, in my mind, has the potential to help the Switch’s online service stick out from its console competition. A functioning and thriving virtual console is one of the most wanted features for Nintendo’s absurdly successful hybrid. Nintendo has officially gone on record stating that Virtual Console will not come to the Switch, but knowing Nintendo, this could all change at the drop of a hat. The Japanese game company has a vested interest in console re-releases, but a full fledged Virtual Console for the Switch would be wildly successful nonetheless. Nintendo Switch Online will also tie into an official app tailored for the service, and the vague promise of special deals for subscribers is touted as well. Knowing Nintendo’s pricing model, the deals made available to subscribers aren’t something to get too excited about. From what Nintendo has given us, Switch Online, apart from the prospect of a true virtual console, hardly seems like an out of this world service. It’s killer instinct lies entirely on necessity and hope in the process. Microsoft, the pioneers of online console multiplayer, has been killing it with their paid service, Xbox Live, for over 10 years. Nintendo, on the other hand, is comparatively inexperienced. We simply don’t know how Nintendo’s infrastructure will pan out, and equally important, we don’t know how/if the service will evolve over time. 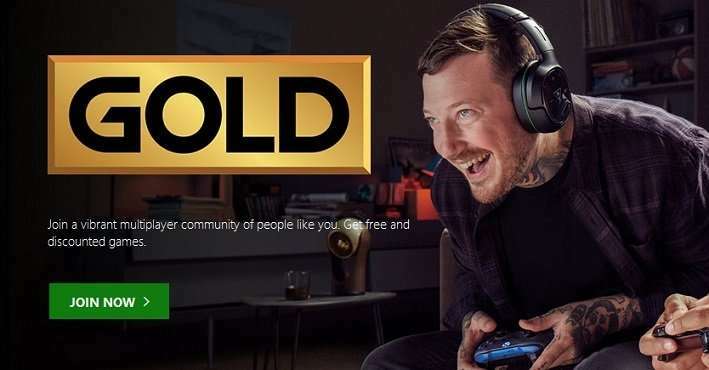 Microsoft has been providing a strong online service with Xbox Live for over 10 years, and for the most part, Sony’s PlayStation Plus is a solid experience as well. Nintendo, on the other hand, is the unknown. They don’t provide dedicated servers for their first party games. They currently lack basic but essential features for an online service like party chat, messaging, and player interaction in a broader sense. Everything we know about the service, and Nintendo’s past with staying remaining stubborn to gaming trends tells us that the unknown, the part that potentially holds great promise, is not something to bank on. Without this, you’re left with a service that provides just enough, and less so at times. Smash Bros. is like GTA in that you simple have to have it if you’re even mildly into games. The biggest question of all is, will Nintendo’s attempt at a paid service stick? It’s a simple, resounding yes from me. A lot of people will be shocked to find they now have to pay in order to play Mario Kart, Splatoon, and potentially Fortnite online, but they’ll also find that the service costs a throwaway $20. The service will be bare-bones at launch, and has the potential to buckle under Nintendo’s inexperience, but coming in at under $2 a month it’s well within impulse buy territory. Add to this the fact that Smash Bros. will be launching on December 7th, just a few months outside of the Switch Online launch, and the pull of mass appeal is tangible. I have issues with what’s to come, namely the half baked features referenced above, but I’m also keen to give it a try. For me, it’s cheap enough to jump in, and with Smash Bros. releasing in the not to distant future, the corporate peer pressure is strong. Still, the service needs a strong case of modernization and forward momentum concerning the Virtual Console-esque feature if it wants to attain any lasting impact. Nintendo is not online-centric concerning most of their IPs, and are prone to content droughts, which gives all the more reason for the company to strive for growth with Switch Online.